Q: How did you get into Leap? A: My former employer introduced me. In college, I had taught art classes to kids, and he thought this organization would be a natural fit. He was right. I’ve been working with Leap for about four years. It was a great place to do good work and meet people, because I was new to San Francisco at the time. 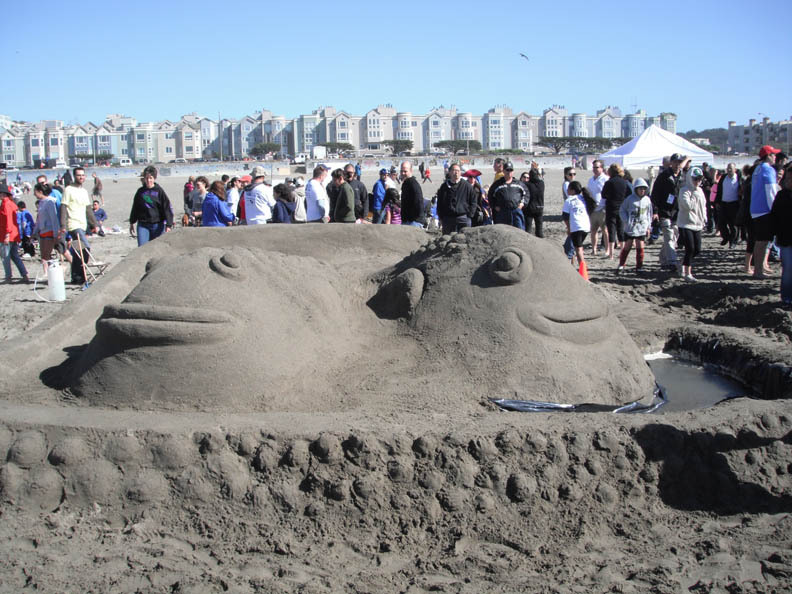 Tom Eliot Fisch has been participating in the sandcastle contest since 2009. Q: Besides the sandcastle contest, what else do you with Leap? A: I have taught architecture to students from the second to the eighth grade, started the annual bowling (competition) we have coming up in March, and participated in some other fundraising events. Q: Tell us about the teaching. A: The lessons depend on the level of the students. I’ll meet with the teacher to find out what else they are learning about, and then tie architecture to those lessons. For example, one class was learning about Greek mythology, so I talked to them about ancient Greek architecture. I showed photographs, made drawings, and shared materials. We talked about the columns as rectangles, and pediments as triangles, and deconstructed the building so that they understood how it was put together. I pulled a sample of some stone from our library and brought it in so we could talk about materials. Their history lessons take on another dimension when there are visuals and samples—when it is concrete, so to speak. For some of the older kids, we might do something more involved, like a programming and design exercise. 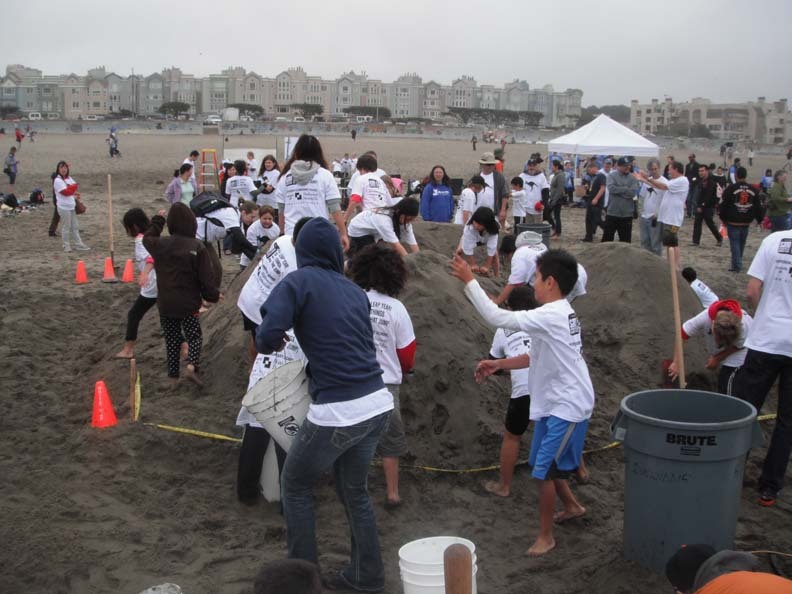 Q: How does the famous sandcastle contest extend this learning? How does it work? A: It is important on several levels. First of all, it is where we raise a significant amount of the funds needed to operate Leap every year. This year I believe we raised over $200,000. Another huge aspect is the teaching and learning that goes on in the classroom to get ready for the contest. 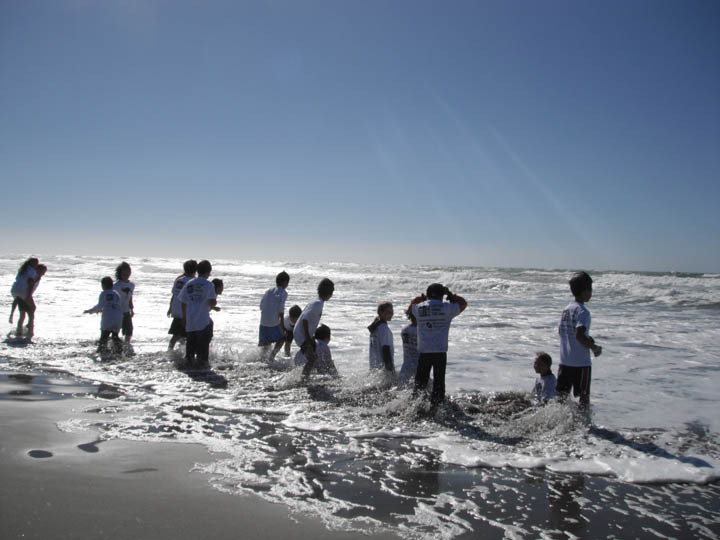 And let’s not forget the fun at the beach the day of the event! Q: Tell us more about the educational part of it. A: The teams consist of an elementary school class, an architecture firm, and a general contractor. This year we partnered with Hathaway Dinwiddie, a general contractor we work with, and our class was Ms. Peterson’s 4th grade class at Jefferson Elementary School in the Inner Sunset. The architect and the contractor visit the classroom and explain how we work together; architects design something and the contractor explains how and if it can be built. Our materials are basically sand and water, so this year’s theme of “Things that Jump” was bound to present some constructability issues. We talked about the material property of sand. They have endless ideas that they get to test with sketches and their own little models. For example, somebody suggested a diving board, but the cantilever wouldn’t work in sand. Then one of the kids came up with the idea of shaping the sand into giant 3D glasses, and how that could transform things into jumping objects, and it grew to have small fish jumping into the lenses and big fish jumping out the back. We modeled it in clay back at Tom Eliot Fisch’s office, and we knew it would be a success. Q: What happens the day of the contest? A: This year there were 28 teams, more than any previous year! Leap maps out the beach, and each team gets a 20-foot by 20-foot plot. The contractor brings shovels, trowels, buckets of all sizes. There are tables and tents and maps and banners. Parents, clients, friends come out to help on the team: its a community event. It’s a big production. Everybody starts at 10 am and we have until 2 pm to finish. For a couple minutes while you are waiting for the horn, there is so much anticipation. Your job for the first two hours is basically to build mountains of wet sand to give you the materials to work with. You figure out who is good at what, divide up the work among groups and get moving. Everyone gets their hands dirty and has a great time. Q: Are there prizes? Did you win one? A: There are all kinds of prizes. This year we won for “cutest creature.” Some of the kids got their picture in the San Francisco Chronicle too.